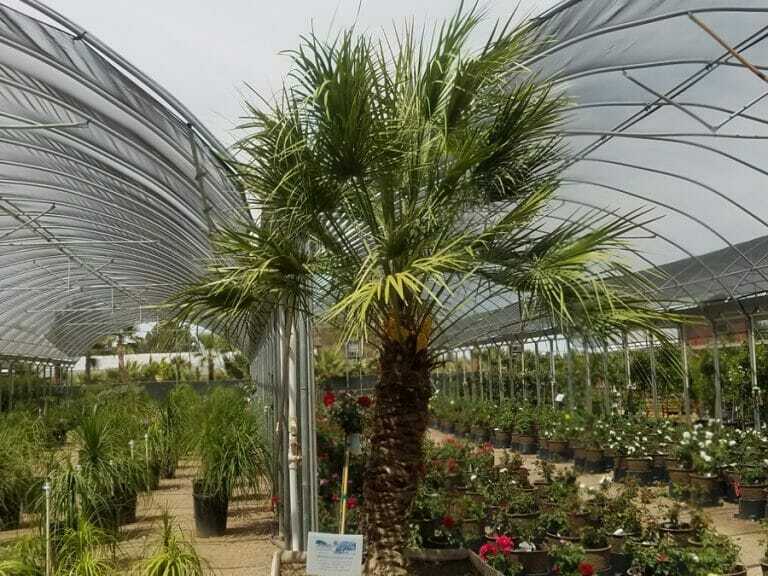 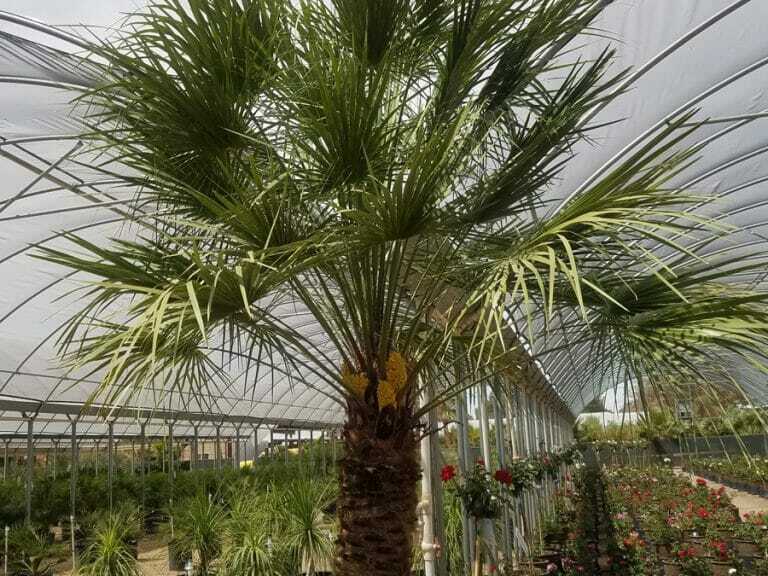 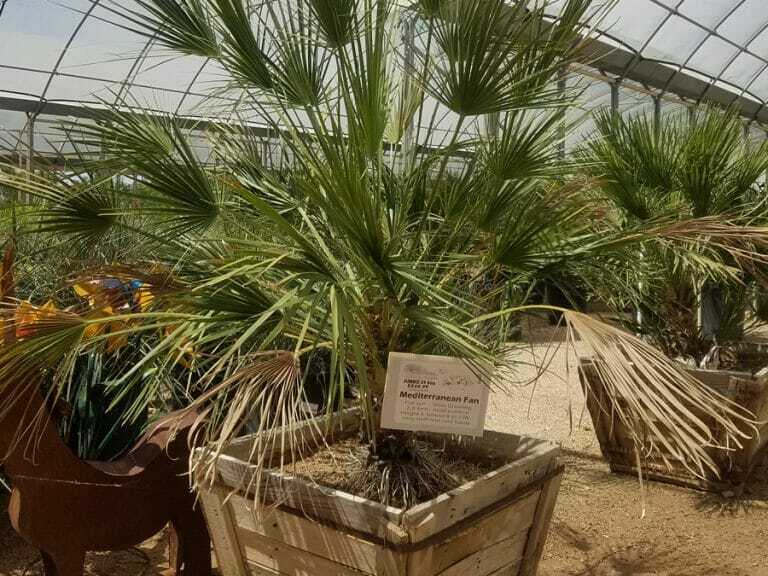 Known as the hardiest palm, the evergreen Mediterranean fan palm provides excellent privacy and windbreak with its broad blue-green, fan-shaped leaves. 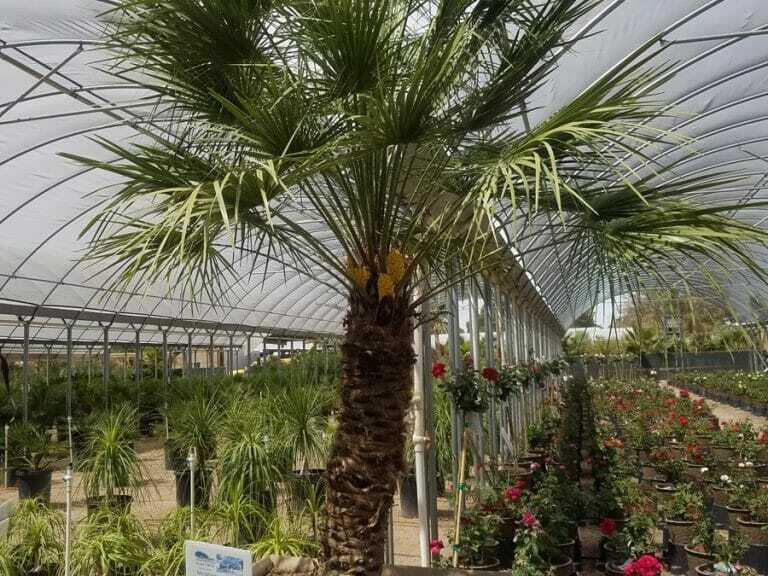 This compact, visually pleasing tree is perfect poolside or even in containers. 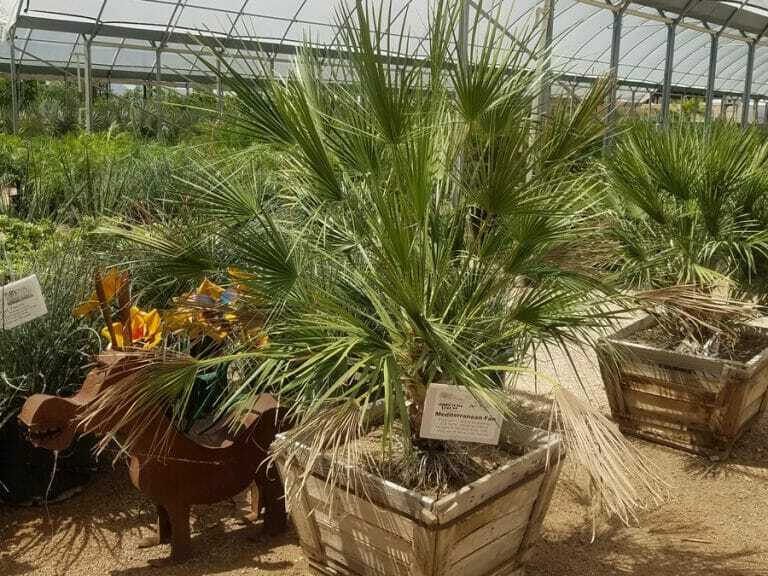 It is often used for Mediterranean, tropical, or rustic style landscaping.